Makes a wonderful holiday gift or stocking stuffer for anyone that loves cooking and baking! You know Santa loves his cookies, and this special Christmas recipe book will show you how to make the best Christmas treats you’ve ever made 🙂 You’ll be able to impress all your Christmas guests this holiday season with these delicious holiday treats! WARNING: Cooking these yummy treats may create wonderful smells in your home! Christmas is the best time of the year. It is all about food, family, and sharing the love with one another. 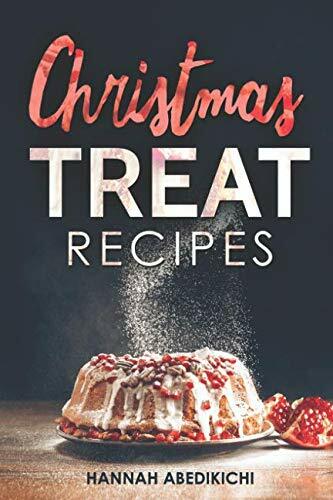 This specially revised Christmas cookbook is full of delicious holiday treat recipes, cookies, cakes, pies, fudges, brownies, candies, and other Christmas desserts that you and your family will absolutely LOVE. These recipes are simple and easy to prepare. Parents and grandparents can enjoy baking and cooking with kids. This is a wonderful holiday activity to share with the entire family. These Christmas treats also make great gifts and treats for others. Makes a wonderful stocking stuffer gift for friends, family, and loved ones! Scroll up and click ‘buy now’ to get start making these delicious Christmas treats today!